The OS-2 gives players a choice of overdrive or distortion or lets them combine both – all in a single compact pedal. Its distortion maintains the subtle nuances of single-coil guitar pickups. Flexible pedal capable of producing overdrive distortion or a combination of both. Get “in your face” distortion while maintaining the subtle nuances of single-coil guitar pickups. The Boss GP-10 Guitar Processor works with a Roland GK compatible pickup to transform your sound into a host of different voices and tones. This is the GP-10 pedal plus GK pickups and 13 pin cable so you have everything you need to get started. For 14 years the famous Boss FV-300 served as an industry-standard volume pedal. The tradition continued with the FV-50 series but today the bar has been raised with Boss FV-500L (stereo low-impedance) and FV-500H (mono high-impedance inst. level) pedals. The SD-1 Super OverDrive pedal produces the warm natural distortion of an overdriven tube amplifier while maintaining the subtle nuances of a players picking technique. 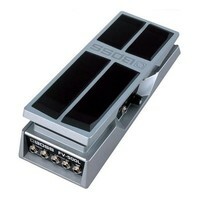 This is one of BOSS more subtle and smooth overdrive pedals perfect for blues and rock. Daisy chain power cord for (up to) 8 single Boss Pedals. The Boss SL-20 – Instant Audio Adrenaline Inject a shot of high-octane fuel into your music with the SL-20 Slicer. Instantly transform a guitar bass keyboard or vocal into a pulsating groove instrument. Choose from 50 onboard Slice patterns or experiment with the SL-20s innovative Harmonic Slicer feature which generates percussive melodies Loop Record and unique 3D Panning. Building on the 20-year legacy of the famous BOSS BF-2 the BF-3 flanger pedal gives guitarists and bassists a classic BOSS flanger with the thickest stereo flanging sounds ever. Two new modes (Ultra and Gate/Pan) create flanging with incredible depth-even Slicer-type effects and sounds that seem to swirl around the listener. An instant classic. 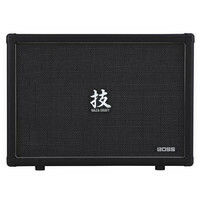 The Boss WAZA Amp Cabinet 412 is the perfect companion for the WAZA Amp Head kicking out the ultimate in high gain rock tone. These amps honour the original sound of the very first rock stack amps combined with the Boss engineers very own interpretation of the modern rock tone known as “Waza Brown Sound”. Offering expandability and reliability the Boss WAZA breaks new ground in the amp market. With four intelligent pitch-shift effects and three-voice harmony in one convenient unit the PS-6 Harmonist is an unbeatable combination of superior sound quality ease of use and powerful pitch effects.. Among the effect modes are Harmony Pitch Shifter and Detune plus the all-new Super Bend for authentic pedal-bending effects and wild three- and four-octave pitch sweeps. A classic reborn – the legendary sound of the 1963 Fender Spring Reverb returns as a modern stompbox. BOSS and Fender USA have collaborated to create the FRV-1 a stunning recreation of the legendary 63 Fender Reverb via COSM technology. The FRV-1 puts that timeless tube-driven reverb sound under your foot in a tough reliable compact pedal. Boss FS-6 Dual Footswitch Two switches in one Boss new FS-6 combines latch- and momentary-type switching into one unit. With two switches conveniently housed side-by-side the FS-6 allows each switch to be set for latch or momentary operation. Pick the configuration that best suits your playing style and setup. A powerful tabletop looper for beatboxers singers and instrumentalists the RC505 Loop Station is perfect for performers who need total control at their fingertips. The RC-505 Loop Station fits right into a busy DJ or club environment as well as being ideal for stage and street performances. As the latest edition to the Loop Station range of products the RC505 is packed full of features you need such as 5 stereo tracks built in effects and USB connectivity. 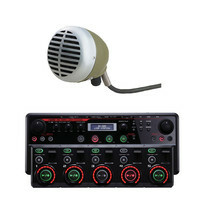 This bundle also includes the Shure Green Bullet microphone. The Shure 520DX has predominately been used for the harmonica but can also be used for distinct lo-fi vocals. 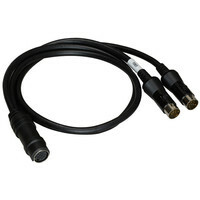 The Boss GKP-2 Cable is for the Roland GK-3 Divided Pickup. It lets you play the GP-10 pedal and another 13-pin GK device at the same time using this GKP-2 Parallel Cable.